When I joined Pi Kappa Phi Fraternity at Winthrop University in Rock Hill (SC), the requirements were to maintain at least a 2.0 grade point ratio, to be able to “shag” dance to Beach Music, and to play a respectable game of golf. While far from making the Dean’s list, I did manage to maintain the grades and become a better than average dancer. However, my golf game has always been sorely lacking. I’m not sure I could have imagined when I was in college how much the game of golf would impact my life. While I do not play much myself, many of my friends and business associates do. As a matter of fact, all of the civic groups I have ever been a member of are reliant on golf tournaments as a source of revenue. Whether it’s the Police DARE tournament, Chamber of Commerce Captain’s Choice event in October, or a Rotary outing, our charities and service organizations depend on golf as an annual event to raise funds for their organization. Recreational sports are extremely important not only to the fabric of a community but to business itself. When our Economic Development Corporation is meeting with site planners for new corporations or larger businesses, our sports market and recreational resources are prominent in their decision making. NC DOC Secretary Crisco recently pointed out to our Lake Norman business leaders how important recreation is to our economic development and local commerce. Visit Lake Norman, the travel and tourism development authority for our North Mecklenburg communities generated a net profit of $48.3 million dollars in direct tourism spending between July 2009 and June 2010 and recruited $11.9 in visitor’s spending. For every $1 invested in Visit Lake Norman, $24.26 went into the local economy. It’s called putting heads in beds and perhaps few organizations do it better. This past week, PGA America announced that the Quail Hollow Club of Charlotte will serve as the host of the 99th PGA Championship in August 2017. The finest golfers in the world will participate at an international event held in our backyard – Charlotte. To put this in some perspective, 50,000 visitors will attend for a week at a sports event seen in living rooms throughout 200 different countries. While they are here, these guests will likely travel to other statewide attractions such as the Outer Banks, Asheville, Charleston as well as visiting within our communities right here at the lake. We are so fortunate to live in a region of the country with its proximity to the mountains and coasts. Nestled on the banks of Lake Norman, we have the finest parks and recreational amenities in either of the Carolinas. The PGA, in making Charlotte the destination for its Championship, comes on the heels of the opening of the NASCAR Hall of Fame in May. Indeed, we are an area of the country that is passionate about sports! 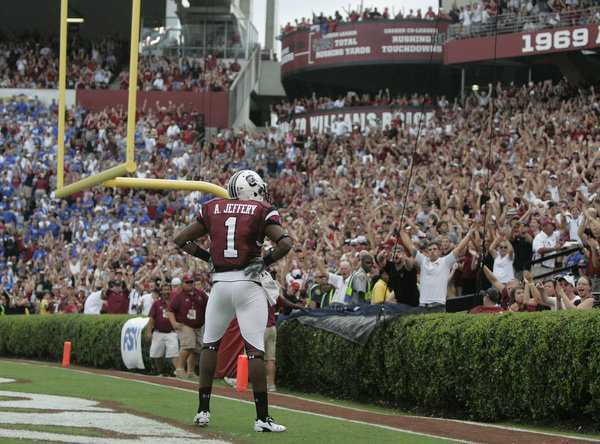 We love our football, take pride in our basketball, and are crazy about our NASCAR drivers. We are both spectators and players. We are a region that simply loves the thrill of competition. Ours is a community that stretches from the Knights Stadium in Fort Mill to the banks of Lake Norman. A community that is bound together for the love of the game. 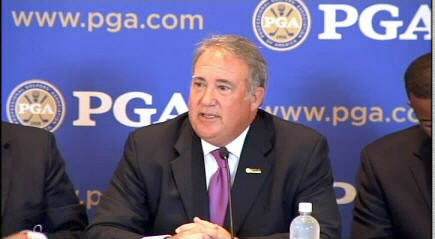 The PGA Championship will be played here in 2017. But in a real sense, that Champion has been determined. It’s everyone that’s ever called the Charlotte region home and on an international stage Charlotte will wear her crown. W.E. 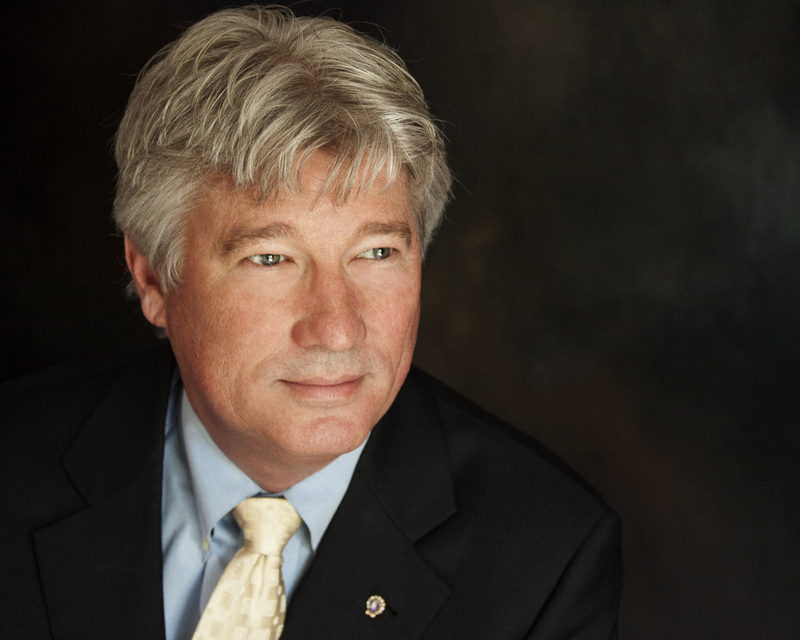 “Bill” Russell, CCE IOM Bill Russell is the president and chief executive officer of the Lake Norman Chamber of Commerce with approximately 1,100 business members in the Cornelius, Davidson, Huntersville, and greater Lake Norman region. Congress – Our American Lost Cause? 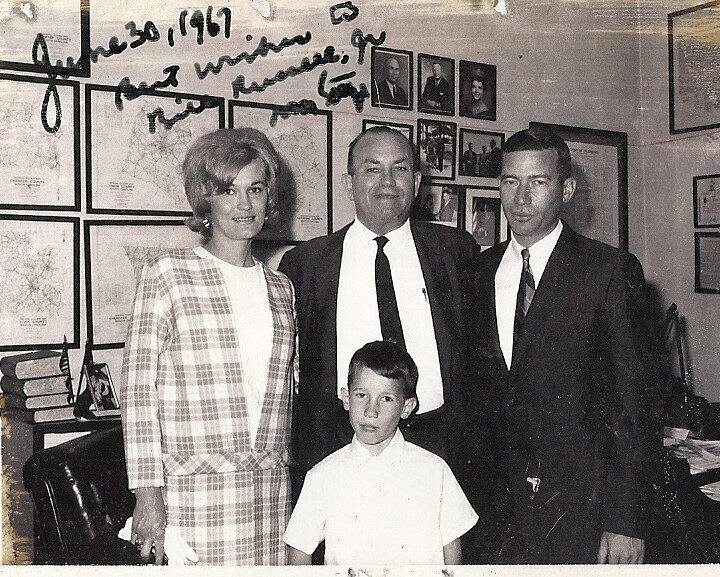 U.S. Rep Tom Gettys in 1967 with Bill and Sarah Russell and Bill Jr.
One of my favorite movies is Mr. Smith goes to Washington. In this 1939 film, Jimmy Stewart, the head of the Boy Rangers, is appointed by the Governor to replace the unexpired term of a deceased Senator. 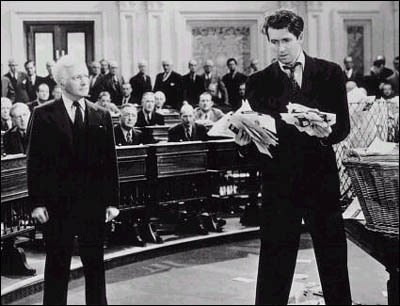 Ironically the film which is now a classic was attacked by the Washington press and then elected officials as Anti-American and Pro-Communist for its portrayal of the corruption in the American Government. This month, a delegation of business leaders from the Lake Norman Chamber will visit Washington as we meet with our federal delegation on issues ranging from highway improvements to health care and labor. It is an annual trip we make to advocate on behalf of our local businesses and the communities in which we live and work. 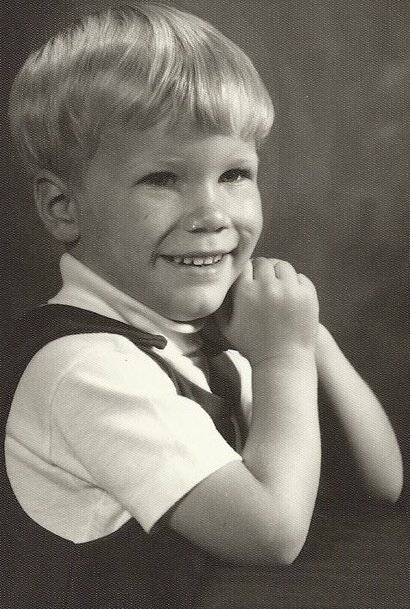 My first trip to Washington, D.C. was when I was nine years old. My mom and dad were attending a Jaycees Convention in nearby Baltimore and upon its completion, Congressman Tom Gettys invited us to the capital. Rep. Gettys was not unlike the fictional Jefferson Smith. A Navy veteran, Gettys was a school teacher and then Postmaster for the City of Rock Hill. He was elected in a special election to fill a resignation of our Congressman and then was reelected to four succeeding terms. 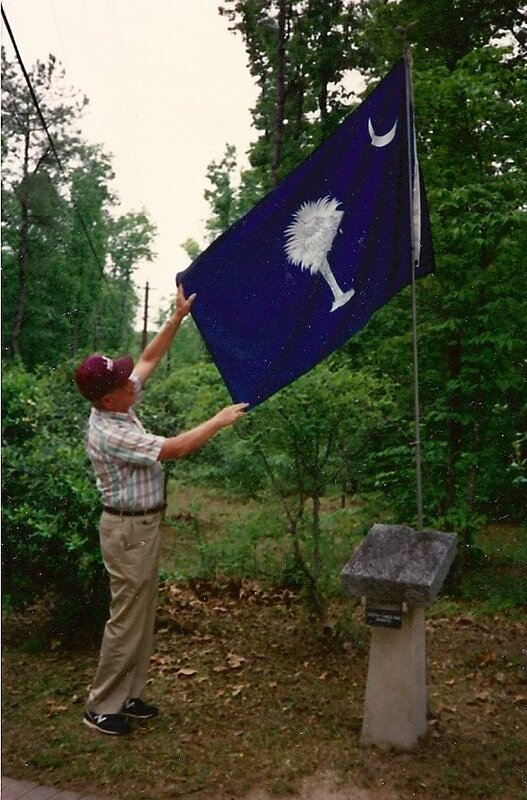 Granddaddy (Elie) Russell displaying the South Carolina Flag. It is a lesson we could all heed in both business and politics. How many of us have attended a recent networking event and spent the better part of our time listening to someone talking about themselves and their product or service with the hopes of selling more? I doubt it left you with the strong impression you wanted to be that next customer. Instead, commit yourself to finding out more about the people you meet. How can you make them more successful? Can you help them get in front of that potential customer or client? In essence, help them reach their potential. While we understand well how important that principle is when it comes to networking and building solid a relationship, it seems few in Washington put the interest of others before themselves. Perhaps it’s a lost cause hoping that Congress will once again put the American people before the interest of their party. Congressman Gettys overcame long odds. He understood the lesson of putting others and service before self. It was a lesson he taught in his high school civics class. One that my grandfather later taught my dad and one that he later taught me. Some might think that’s a lost cause – but many of us believe it’s one worth fighting for! As news that home sales fell 27 percent in July, the steepest one-month drop since figures were first compiled in 1968, and Americans grow even more concerned with the cost of the healthcare plans which are forcing companies and small businesses alike to delay any hiring of new employees, our U.S. Congress is taking decisive action in Washington, D.C. They are holding hearings on steroids in baseball. That’s right, while the American public stares at staggering unemployment numbers, our country annually spends roughly $1.3 trillion more than it takes in, and the economy still appears to be anemic but not altogether dead, our Congressional leaders are taking aim at the greatest nemesis of our time – Roger Clemens. William Roger Clemens, nicknamed “Rocket” is a former Major League Baseball Player who won seven Cy Young Awards, more than any other player. He played for 13 consecutive seasons for the Boston Red Sox before a stint with the N.Y. Yankess where he had his first World Series success. The Rocket is accused of using Performance Enhancing Drugs and lying about it to Congress. While I do not condone using steroids, nor do I know if there is definitive proof that the Rocket used them, the fact he is being accused of lying to a group of people, who habitually lie to the American public, is on the face of things – laughable. The bigger issue is when our national leaders should be huddled in a room trying to solve the budget crisis, sorting out how to put Americans back to work, and reaching consensus on a fiscally responsible approach to taxes and regulations, they are focused on holding a retired baseball player accountable for telling them lies when it comes to using steroids which were not even banned by baseball at the time. I’m not sure I ever took anything that could be considered a performance enhancing drug but I do admit that I was allowed to go outside and participate in a neighborhood pick up game of football only after I lied to my mother. I think the statute of limitations has long expired on what I now admit was nothing but a complete falsehood – an out and out deceitful act on my part. Mama was cooking those infamous rutabagas, which if you have never experienced their unique aroma, is both quite distinctive and breathtaking. In a word – “revolting”. Dad was attending a meeting of the Rock Hill Jaycees and informed mom he would be missing our dinner. Mom took that as an opportunity to prepare her cornbread, rutabagas, turnip greens and ham. While the aforementioned meal was most delicious and I long for the days of her cooking, I could do without those copper colored rutabagas. Anxious to rejoin my buddies waiting out in the yard for my return, while mom wasn’t looking, I scraped my helping of rutabagas on my brother’s plate. Todd, who was likely five or six at the time was left defenseless as mom now required him to clean his plate before he could leave the table. I, on the other hand, dashed madly outside to rejoin the football game still in progress and my rightful place as a legend in my own mind when it came to athletic prowess on my backyard gridiron. I now humbly and with deep humility apologize to my brother Todd for what I did. And I ask my mother’s forgiveness for not only not eating the copper colored yucky square things but for telling a fib about the whole affair. Now, with that off my chest, perhaps I will not be called up to Capital Hill for my chicanery and they can get to the business of solving the real issues facing our country. Actually, there’s a better chance I’ll eat a plate of rutabagas for breakfast!